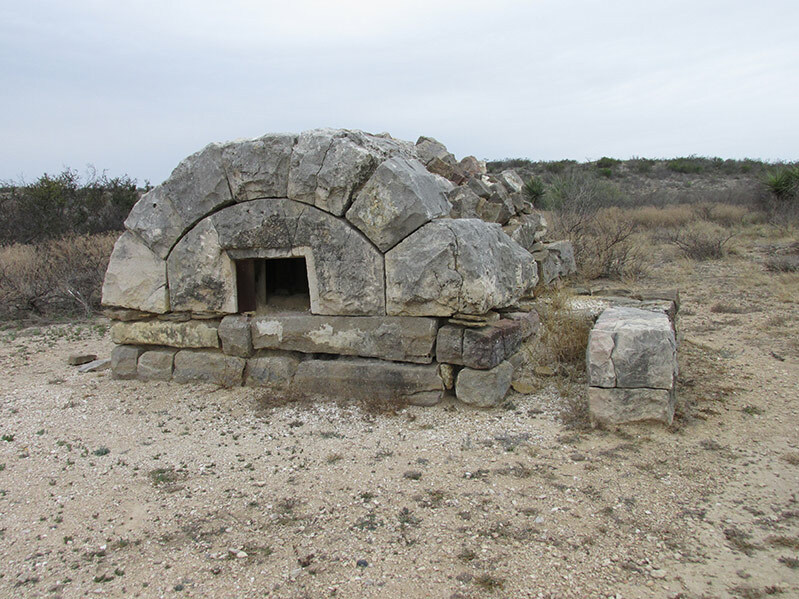 Seminole Canyon State Park and Historic Site in Val Verde County, west of Comstock, contains 2,172.5 acres. The state purchased the park lands from private owners in 1973 to 1977. The park opened in February 1980. Early man first visited this area 12,000 years ago, when now-extinct species of elephant, camel, bison and horse roamed the plains. The climate at that time was more moderate than it is today. Scientists have not found evidence that these people produced any rock paintings. By 7,000 years ago, the climate had changed and the landscape looked much like it does today. A new culture appeared. These people gathered wild plants and hunted small animals more often than big game. They lived in small groups, because the land would not support larger groups for long periods. 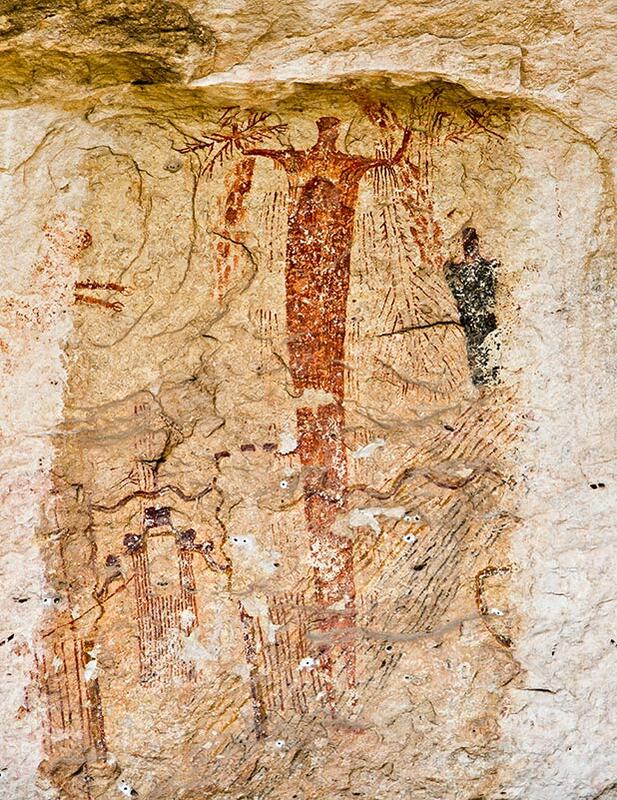 Despite the struggle for survival, some of these prehistoric people found the creative energy to paint pictographs in Fate Bell and other rock shelters of the Lower Pecos River Country. This distinct style only appears in an area which includes portions of the Rio Grande, Pecos, and Devils rivers. 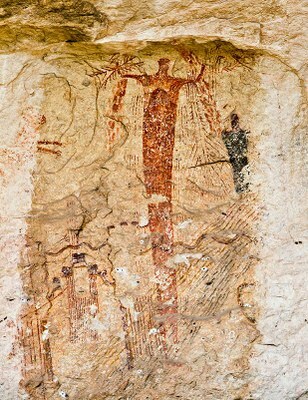 More than 200 pictograph sites hold examples of their style of rock paintings. These range from single paintings to caves with panels of art hundreds of feet long. Numerous figures or motifs repeat in different places. The artists took the exact meaning of the paintings with them to the grave. The first known European in this area was Gaspar Castaño de Sosa. He set out from Monclova, Mexico, in 1590, and crossed much of present Val Verde County en route to New Mexico. The U.S. Army was the first American presence in the Lower Pecos. In 1851, Lieutenant Nathaniel Michler explored the Rio Grande above and below its junction with the Pecos River for the United States and Mexico Boundary Commission. After the Civil War, Lieutenant John Lapham Bullis and his Black Seminole scouts worked in the area. They blasted a wagon road into the Pecos Canyon near the Rio Grande. The road provided the military with a shorter route between forts Clark and Davis. The park’s name comes from these scouts, who sometimes camped in the canyon by a nearby spring. Italian bakers probably used this oven to bake bread for railroad construction workers. In 1882, construction of the Southern Pacific Railroad reached the area. This route connected El Paso with San Antonio. The railroad company abandoned the section of railroad in the canyon of the Rio Grande in 1892. A new bridge spanning the breadth of the Pecos River Canyon took its place. The present bridge was built at the same site during World War II.